Google has pushed a major update to its iPhone app, giving it a new name, new look and with a bunch of new features. Google Mobile for iPhone would now be known as Google Search for iPhone. It now features new interface to search the web and to access the local apps. The revamped app now resembles the look of the Google Web search interface. 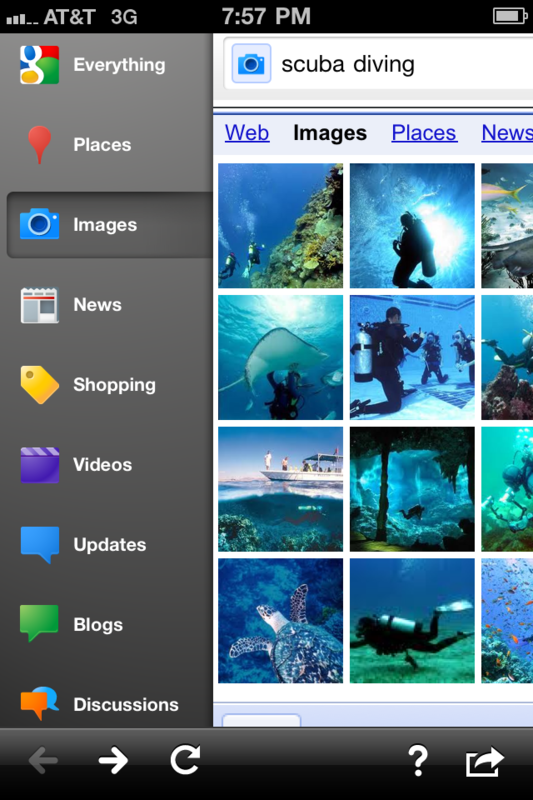 Google Search for iPhone now also features Voice search and Google Goggles. A brand new update in the app is the new search toolbar that you access by swiping from left to right. From this toolbar users can access news, image, shopping, video, blog and all that’s available on Google Web Search. Another feature enables you to pick up where you had left. If you get engaged in a call between your search activity in the app, you can return to the page you had left by tapping into the lower half of the page.